Let your kids be creative and explore the capabilities of their body. Have fun and don’t place too much emphasis on perfect postures. Make corrections to your kids postures gradually to achieve maximum benefit. 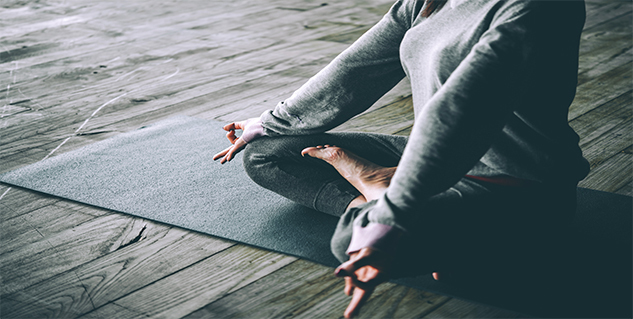 Yoga is not just a bunch of poses and breathing techniques, it goes way further and yoga as a whole is a complete way of life. Practising yoga from childhood can be very beneficial for the body as well as the mind of a young child. 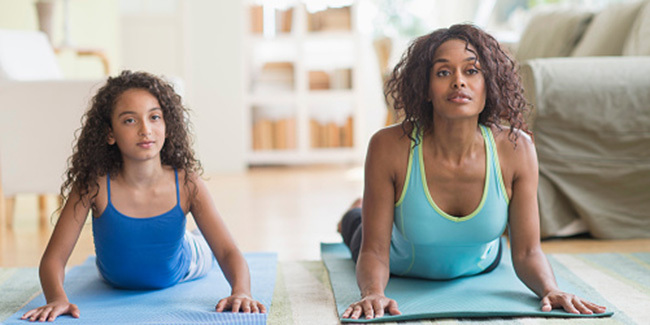 Children are generally much more flexible than adults and regular yoga practice will maintain the flexibility and agility as the child grows. Yoga can be fun with kids as their focus is more on movement rather than perfectly aligned poses. Here are some yoga poses which both you and your kid can do easily at home and reap the benefits. This yoga posture is good for strengthening abdominal and back muscles. This is a relatively simple pose and is doable for kids and adults alike. To do the boat pose, lie on your back with your feet together and arms on your side. Taking a deep breath, lift your chest and feet off from the ground and stretch your arms and legs, rocking like a boat in the water. This yoga pose stretches the spine, chest, hips and shoulders simultaneously and gives a boost of energy to the body. It is also great for digestion and calming the mind. Start by lying down on your back with your knees bent and your feet on the ground. Point your toes straight and make sure that your knees are hip width apart. Then place your arms alongside your body with your palms facing down. Tuck your chin into your chest, and lift your buttocks up to create a bridge while inhaling. This is a relatively difficult pose but you can try it out with your kid to see if she or he is able to do it comfortably. This can be great fun as you can pretend to be a whale or a fish, which will motivate your kid and increase the fun factor of your exercise. To do this pose lie flat on your stomach with your arms along your body, palms facing up. Bend your knees while inhaling deeply. Lift your chest, and look forward. Move your arms backwards and grab your ankles. Make sure that your knees remain hip-width apart during this pose. This pose increases the blood flow and helps oxygenate the whole body. This pose also improves strength and stability. To start with this pose, position yourself on your knees and hands on the yoga mat. You’re your toes and lift your bottom up to create a triangle. Kids usually have a tendency to stand on tiptoes in this pose, instruct your child to place their feet flat on the ground while doing this pose.